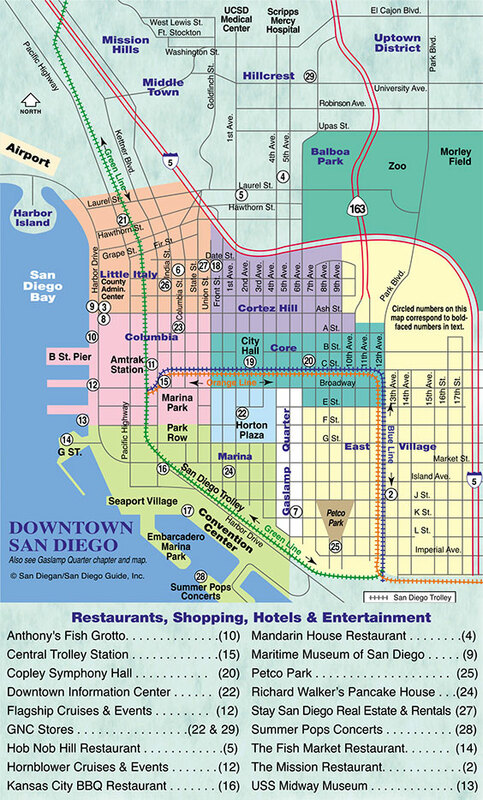 The jewel of this district is the historic Copley Symphony Hall (20) at 750 B St. (619-235-0804). It is regarded as one of the finest classical music venues on the West Coast. This year the San Diego Symphony, now over 100 years old and one of the oldest orchestras in California, will embark on a two-week tour starting at Carnegie Hall in New York City and ending in China. It is rated as a tier one orchestra, and they perform more than 100 concerts each season. For their complete performance schedule including their popular Ashford University Summer Pops (28) series, which is held at the Embarcadero Marina Park South. For 10 weeks each summer, the San Diego Symphony performs its Ashford University Summer Pops concert series outdoors at Embarcadero Marina Park South on picturesque San Diego Bay. The Summer Pops features a wide variety of musical entertainment including Broadway, Motown, pop, rock and country. This summer’s headliners include Amy Grant, Michael Bolton, En Vogue, Burt Bacharach and famed Rocky composer and new principal pops conductor, Bill Conti. The series begins June 27 with the annual Tux ‘n Tennies Summer Bash featuring KC and The Sunshine Band and ends with the 1812 Tchaikovsky Spectacular on Labor Day Weekend, both concluding with fireworks. There are also fireworks at the conclusion of each Summer Pops concert on Friday and Saturday night throughout the summer. Seating includes cabaret tables, grandstand and lawn. Summer Pops concerts begin at 7:30 p.m. Tickets are ($20–$99). For more information or to purchase tickets, please call the box office at (619-235- 0804) or order online. Symphony MAYnia 30 Second Spot from Jacques Spitzer on Vimeo. The Ashford University Summer Pops is San Diego Symphony’s annual outdoor summer concert series. 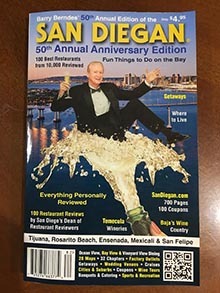 The concerts are performed on a stage they construct each year at Embarcadero Marina Park South, on San Diego Bay right behind the San Diego Convention Center. Seating options include cabaret tables, grandstand seating (fold-down chairs) and general admission lawn seating. The popular summer attraction features 10 weeks of concerts. The series begins the weekend of July 1 with the Fourth of July Weekend Star-Spangled Pops and ends with the 1812 Tchaikovsky Spectacular on Labor Day Weekend, both concluding with fireworks. 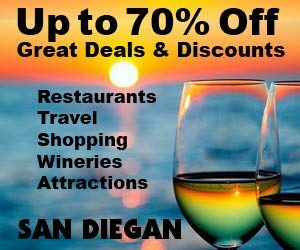 There are also fireworks at the conclusion of each Summer Pops concert on Friday and Saturday night throughout the summer all featuring the San Diego Symphony and some of today’s hottest pop acts with a wide variety of musical entertainment including Broadway, Motown, pop, rock and country. This summers headliners included Wynonna, Dennis DeYoung, Michael Feinstein and Burt Bacharach. Summer Pops’ principal conductor is Matthew Garbutt. The concerts begin, unless otherwise noted, at 7:30pm, with gates opening at 6pm. Subscription concerts are on Friday and Saturday nights, and occasional Special concerts are on Thursdays and Sundays. The City Lights is your chance to hear the hottest symphonic pops music from around the world, performed by the San Diego Symphony in the cool confines of Copley Symphony Hall. Principal pops conductor Bill Conti brings together composers, great artists and gorgeous melodies that will leave a smile on your face and a song in your heart. It’s hip, classy and cool. With our their new lobby lighting, you’ll enter a sophisticated world of entertainment. The Symphony’s lobby bars offer drinks that you can take back to your seats, and there’s dancing after every concert in the lobbies. It’s the sights and sounds of a night on the town!